Add value to your home by restoring your roof. Any homeowner knows that accidents may happen, but general wear and tear of a house is inevitable. Due to its size and location, a roof is one of the most damage-prone facets of a house. A roof can be a striking feature to any home and it is one of the main features people notice when first catching sight of an abode. Whether it be constructed of tiles, colourbond or asphalt, a roof that is in prime condition can increase the value of a house substantially. Storms, excessive heat, strong winds, sun damage or even animals are all factors that can damage a roof. The main factor when deciding to replace or repair a roof that is starting to show the test of time is the cost associated with the inevitable project. 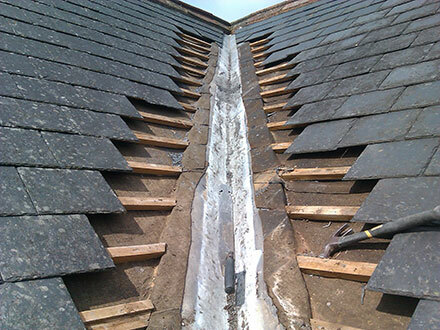 Naturally, it is assumed that repairing a damaged roof is a large-scale job, but it doesn’t have to be. The main misconception about a roof is that it is one surface area, so when part of a roof becomes damaged, the whole roof will need to be replaced. This is a complete mistruth. Weather in Canberra is temperamental at the best of times. The extreme heat of summer and the icy chill of winter really show their effects on local homes. Most residential roofs suffer from cracks and leaks. Cracks and leaks can be easily attended to, without a complete reconstruction. Replacing damaged tiles can be relatively inexpensive. Slipping in new tiles and removing the old is a far simpler task than removing the very roof from the resident’s head. Depending on the age of the roof, there may be a slight colour discrepancy between the old tiles and the new, but the minimal cost of repairing one section far outweighs the benefits of having a slight tone discrepancy. What's more, replacing tiles will extend the life of your current roof for at least an additional 10 years. If a roof’s damage is more significant than a few tiles, yet still confined to one area, partial reroofing options are available. Blending the old with the new is more effective when it comes to partial reroofing and can equate to thousands of dollars in savings in comparison to installing a whole new roof. The best time to make repairs on your roof is ultimately in the warmer seasons. There is less rainfall in Autumn and your contractors will be able to get the job done faster. For roofs suffering from climate or storm stress, it’s best not to wait until the seasons get cooler and rain sets in. The decision to reroof or repair is dependent on three key factors; climate, age and wear as well as your home's susceptibility to damage in the future. When considering the costs associated with reroofing, it’s important to recognise the savings you will be making by repairing your roof, which is just as effective. Repairing over reroofing will add value to a home in the long term. To find out more about our roof restoration and repair in Canberra, contact us at National Capital Roofing today.